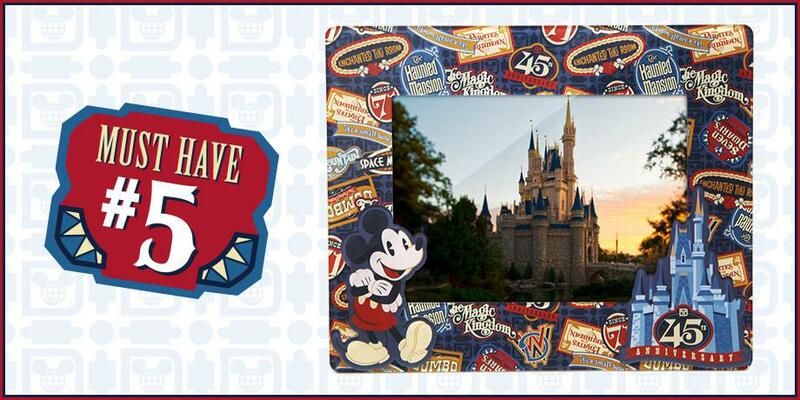 Happy 45th Anniversary, Magic Kingdom® Park! Walt Disney World® Resort’s first Park opened on October 1, 1971, and to celebrate, they’re creating lots of new souvenirs and merchandise designed especially for the anniversary. 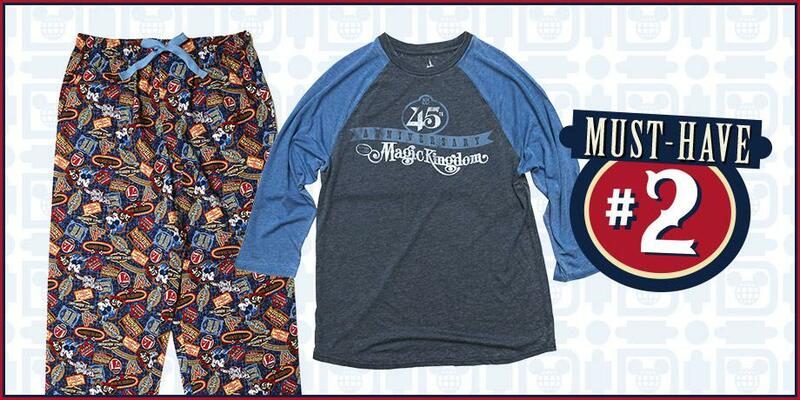 To get the scoop on the new stuff, which is inspired by Magic Kingdom® Park’s rich history, we spoke with Disney Merchandise Communications Manager, Steven Miller. Steven has a fun job: he’s one of the first to see the new merchandise for Walt Disney World® Resort and the Disneyland® Resort, as well as Disney Cruise Line, and then he tells us all about it on the Disney Parks Blog. Steven walked us through the anniversary must-haves – it’s a “shopportunity” you won’t want to miss! 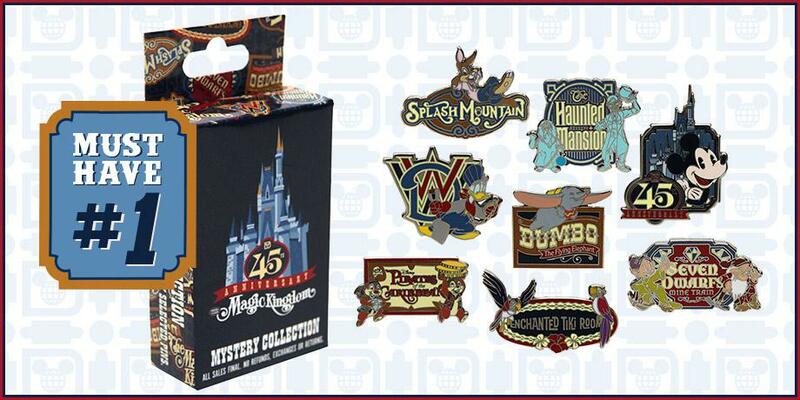 Must-Have: The Magic Kingdom® Park at Walt Disney World® Resort 45th Anniversary Mystery Pin Collection featuring eight pins; each box contains two randomly selected pins. Why: “Mystery pin sets give you a finite collection,” says Steven. “There are thousands of pins in the Park every day, so if a set has a certain number of pins [like the mystery collection], I just have to find those pins, and once I complete that, then I can go on to the next set. It helps people to focus.” And if you get duplicates? Trade ‘em in the Park! 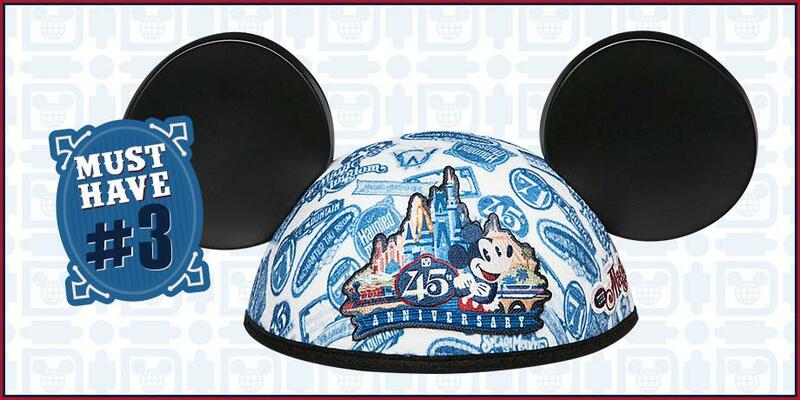 Why: Any die-hard Disney fan will want this commemorative Mickey Mouse Ear Hat featuring an all-over pattern of Walt Disney World® Resort attraction logos and two patches. It can even be embroidered with your name, too. 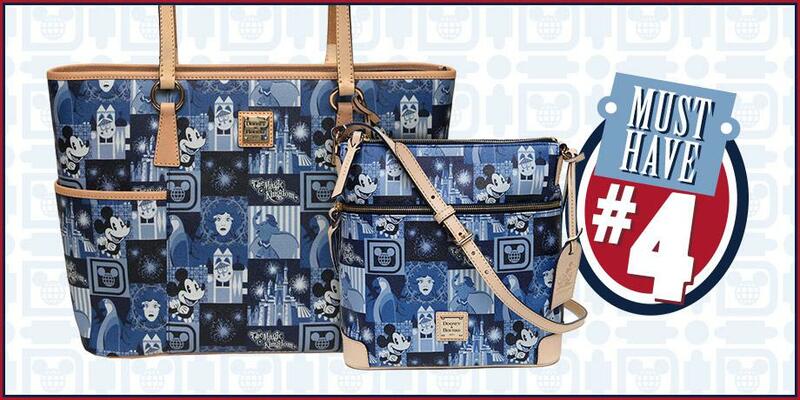 Why: The super popular Dooney & Bourke handbags get in on the celebration with a pattern that pairs Mickey Mouse with other Walt Disney World® Resort attraction icons. It also features Characters such as Madame Leota from the Haunted Mansion® attraction, a bird from Walt Disney’s Enchanted Tiki Room, and everyone’s favorite elephant, Dumbo. A leather 45th Anniversary hangtag creates the finishing touch. Must-Have: Among the home décor items, which include two limited-edition coins, a holiday ornament, an antenna topper, and mugs, Steven recommends the anniversary photo frame. Why: It’s a special way to preserve that “moment in time” Theme-Park selfie. Say cheese! Having a hard time deciding which souvenir to get since you kinda want to have them all? Join the crowd! Steven, who’s been with Disney for 18 years, says the hardest part of his job is deciding what items to feature. “There’s so much great stuff to talk about. It’s like trying to pick your favorite kid. There are thousands of items and each one has a unique story. How do I show them all? A lot of it comes down to what is popular in the marketplace, what I may like from being a Disney fan since I was a little boy, and what other Guests may like.” We also bet he’ll be adding to his collection of Disney mugs which fills 15 shelves in his home! Disney anniversary souvenirs and merchandise will be offered (subject to availability) at select locations throughout Walt Disney World® Resort, and you’ll also find select merchandise through the Shop Disney Parks app (Apple and Android), and at DisneyStore.com.1 Disney Visa® Cardmembers receive 10% off select merchandise purchases of $50 or more at select locations at Walt Disney World® Resort.2,3 And if you’re shopping at Disney Store or DisneyStore.com, remember that Cardmembers can also save 10% on select merchandise purchases of $50 or more.4 So start shopping!